Young Artist Competition 2018 Winner: Gus Brown! CRMB is proud to announce that Gus Brown has won the 2018 Young Artist Competition. A junior at Xavier High School in Cedar Rapids, Iowa, he began drum set lessons at age 4 with Gabe Brown of American Idol and Helforstout fame. Shortly after, snare and drum set instructor Ryan Hoagland took him on as a student. Gus’ first performances were with the St. Joseph Catholic School middle school jazz band in third grade, the middle school concert band in fourth grade and as the LaSalle Catholic School show choir drummer the same year. Tom Mackey, with Orchestra Iowa, the Des Moines Symphony and the CR Municipal Band, began private concert band percussion instruction with Gus in 2011. Later that year jazz drummer Matt Bernamann started private lessons with him. Gus continues weekly private lessons with Tom, Ryan, and Matt. Under the guidance of Xavier High School Band Director Kelli Swehla he began marching with the Xavier High School marching band in 7th grade. He also joined Xavier High School’s Jazz Band Two in 8th grade. Currently, Gus performs with Xavier High School’s marching band, concert band, jazz band, Xhilaration show choir band, liturgical music group and the drama pit orchestras. He attended the Luther College summer music camps from 2011 through 2014 under the instruction of Juan Tony Gúzman. Gus attended the Monterey Jazz Festival High School summer camp the last three summers studying with instructors Terri Lynn Carrington, Jeff Hamilton, Paul Cantos, and Vince Lateano. Gus also attended the Music For All Concert Percussion camp during the summer of 2017 at Ball State University. He was selected to the Iowa High School All State Orchestra in 2017 as a percussionist. Gus earned an alternate selection with the 2018 3A High School All State Jazz Band on the drum set. 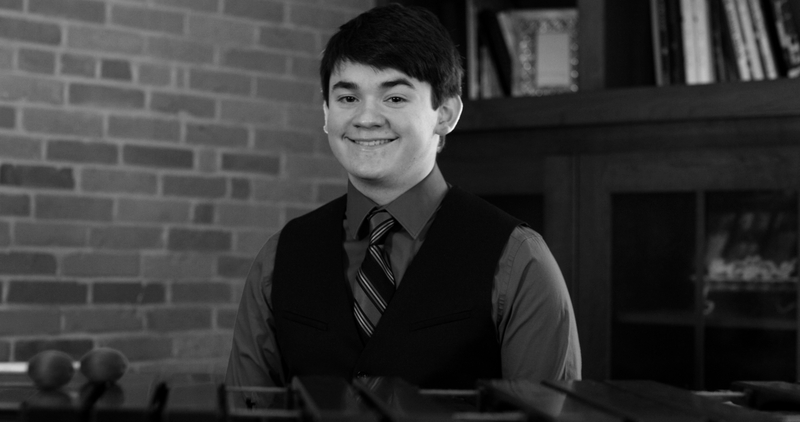 He has been a member of Coe College High School Honor concert band for two years, the NEIBA Honor Concert Band for one years, the NEIBA Honor Jazz Band for two years, the Cedar Rapids Youth Wind Ensemble for two years, and the 2018 North Corridor All Star Jazz Band. Gus earned many Division 1 ratings for State and City solo contests and earned best of center in 2017 (marimba) and 2018 (timpani). During the summer of 2017 Gus organized the inaugural Percussion Camp at Xavier High School for musicians from kindergarten through 8th grade. That fall Gus performed with The Gabe Medd Duo as one of the Corridor’s top high school jazz musicians for Gabe’s Homecoming concert. Gus is a member of the National Honor Society. Gus would like to thank his drum teachers Ryan, Matt, and Tom for their instruction and friendship through his years of lessons. He would like to extend a special thank you to Tom Mackey and Kelli Swehla for the many opportunities to perform and extend his musical growth. Gus would like to thank his family, parents Jerry and Dr. Holly Brown, and his sisters Michaela, Kesson and Cathryn.